The Hellenic National Defense General Staff (HNDGS) has done an excellent job of publicizing information on Turkey’s violations in the Aegean over the past eight years. This resource is invaluable since it provides us with a quantifiable indication of Turkey’s aspirations while allowing us to assess the effectiveness of our response. We are not talking about a simple table with general statistics, but a detailed report of maritime incidents, air traffic infringements, national air space violations, aircraft types (fighter, maritime patrol or helicopters), numbers of armed aircraft, dogfights with Greek interceptors and overflights over Greek territory. The HNDGS data cover every month of the crisis. They “talk” to us and we have the obligation to listen. While there have been fluctuations in Turkey’s incessant provocations in the last 40 years, the increasing trend over the last six is clear. Turkish aggression in the Aegean reached its peak in 2016, according to the latest data from the HNDGS. Specifically, the Turkish Air Force (TuAF) carried out 57 overflights over Greek territory in 2016, a record since 2009, when data was first published. This is not surprising, since there had already been a sharp increase during the 2013-15 period with 11, 14 and 36 overflights respectively, compared to four in 2011 and three in 2012. The HNDGS data also reveal another crucial detail about the Greek response. The number of dogfights in the 2010-16 period was close to zero. The term “dogfight” refers only to reconnaissance flights that escalate to active engagement between Greek and Turkish jets. Out of the 1,678 national air space violations in 2009, there were 237 dogfights, or about 14 percent. In 2010, the dogfight to violation ratio dropped to 1 percent, 1.4 percent in 2011, and 0 percent in 2012 and 2013, before rising to 0.4 percent in 2014 and showing a slight increase in 2015 and 2016, around 4 percent. Essentially, we are talking about years with zero dogfights despite the thousands of national air space violations. In order to grasp what this means, we need to understand what happens every single day in the Aegean. 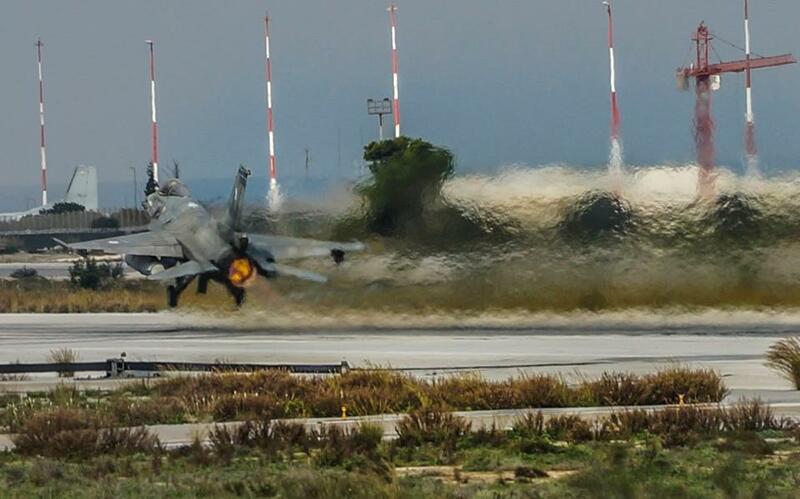 The moment fighter jets take off from specific airports in Turkey, the Hellenic National Air Operations Center (NAOC) sets in motion a complex air defense mechanism. NAOC has vast experience in intercepting Turkish provocations and utilizes Greek jets impeccably. Because of the enormous cost, the priority is to maximize the presence of Greek interceptors in the theater of operations. The challenge is that TuAF sets the stage with its designed flight path and is able to fly for a long period of time over the Aegean because of its aerial refueling capability. This means that the same pair of TuAF jets may require a disproportionate number of Greek aircrafts, sending the interception cost skyrocketing. The interception of the Turkish fighter jets violating Greek air space is conducted in accordance with international regulations. Each incident is intercepted, either from a distance, by virtual weapons lock or by proximal recognition, according to the given instructions. The Turks often ignore virtual lock-on and identification by Greek pilots, since they are certain that they will not be shot down, and continue their flight unfazed into Greek air space and over Greek territory. Since the Greek government allows the Hellenic Air Force (HAF) no room for active deterrence, the only option left for HAF is to shift its priority toward maximizing its presence in the area. Greek jets are essentially mere observers and recorders of Turkish aggression, unable to prevent it. The almost nonexistent number of dogfights over the past few years indicates that we have reached a new normal in the Aegean. It is an indicator of Turkey’s silent strategic victory. If you are ignored, you simply don’t exist. This is a very important but rarely discussed political issue, since Greece insists on a reactive handling of Turkish violations, allowing the further establishment of the status quo. What we have here is essentially the de facto relinquishment of Greece’s legitimate right to defend its sovereignty. The above information has already been “translated” by the reader according to his or her ideology, regardless of the essence of the data. If one is ideologically on the far left of the political spectrum, one tends to live in a utopic reality, in complete denial of the significance of Turkish demands. If one is on the far right, then one claims to have a monopoly on and capitalizes on a false sense of patriotism while ignoring the tragic mistakes of the past and the current operational and geopolitical reality. The former want to sing “Kumbaya” around the campfire, and the latter want to take back “tin Poli” (Constantinople). This ideological shortsightedness prevents us from developing a long-term strategy that will enable us to counteract Turkish claims. We have plenty of unutilized tools at our disposal, both diplomatically and militarily. What we now need is innovation, professionalism and, above all, political will. These last three have historically been Greece’s greatest deficit, since long before the crisis. This is the covert deficit that extends beyond the balancing of a budget sheet into the interconnected root causes of most of Greece’s problems. 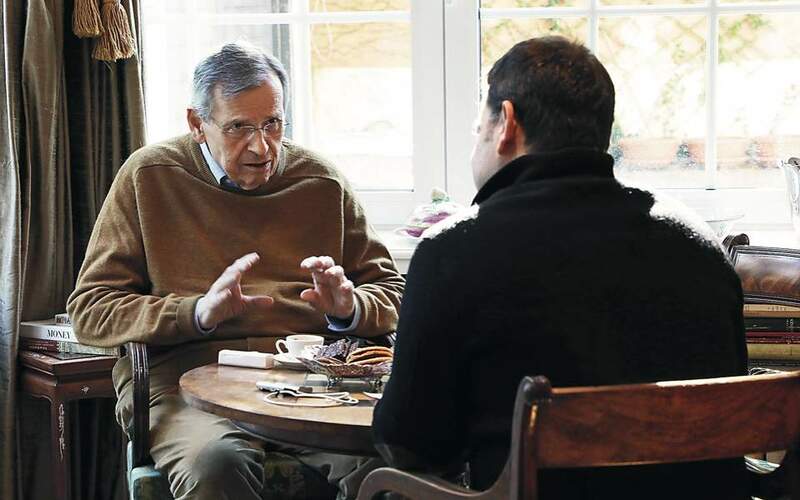 * Nikolas Katsimpras is senior fellow at the Hellenic American Leadership Council, lecturer at Columbia University’s Masters Program on Negotiation and Conflict Resolution, and a former Hellenic Navy officer.